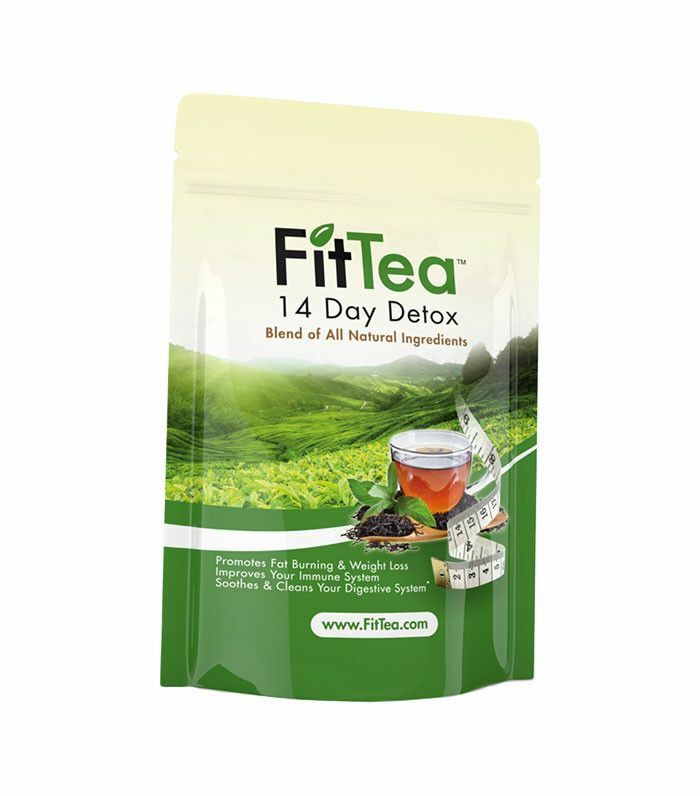 Detox tea for weight loss is the big new diet right now, and it all seems so easy! Drink tea, lose weight. 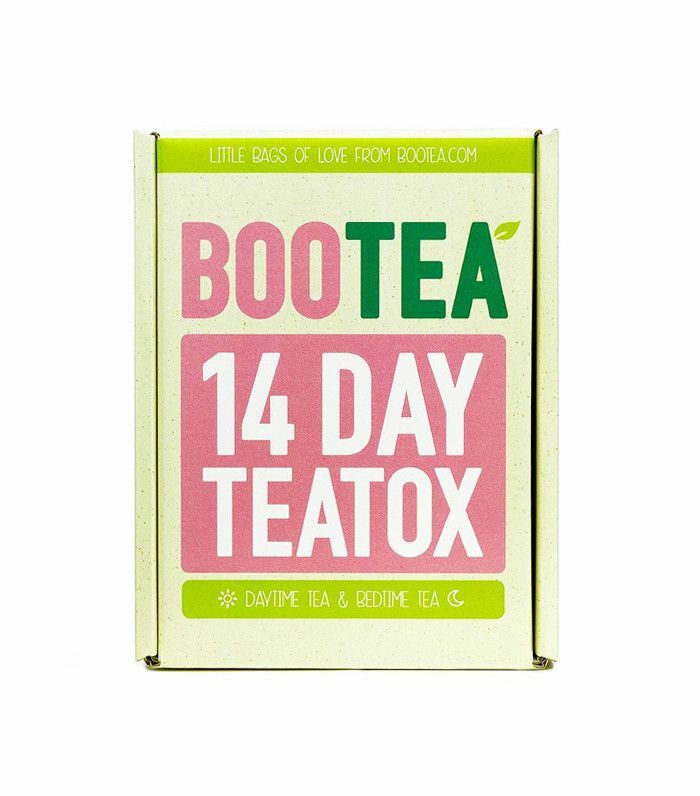 Whether scrolling your Instagram feed or taking a walk down your local high street, it’s pretty difficult not to spot a detox tea for weight loss on your virtual or real world travels. I popped into Holland & Barratt only this morning and was confronted by a huge display of Bootea, and the same tea lines the shelves near the till point at my nearest Boots. 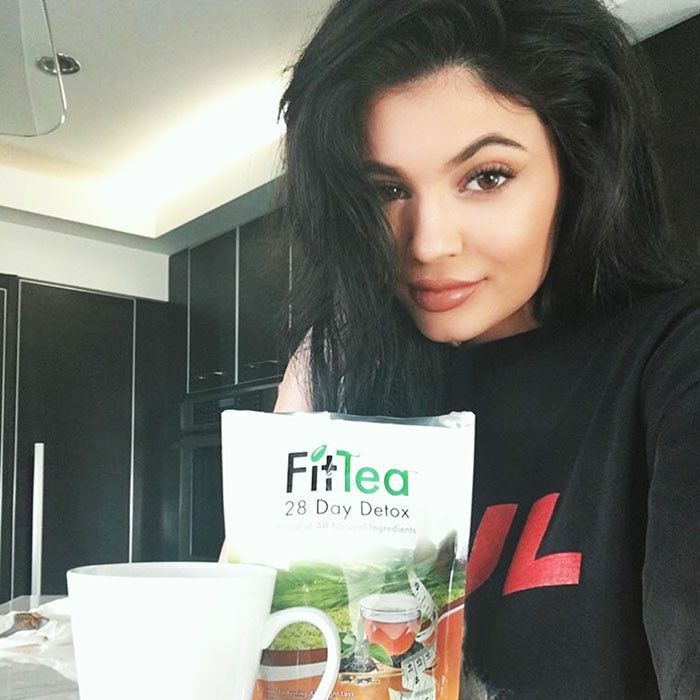 Even Kylie Jenner got in on the act, flaunting her FitTea on Instagram. At first glance, I’m tempted. A quick-fix 14-day detox to help ease me into the New Year minus a few pounds—very tempting indeed. But at what cost? These designer tea bags aren’t cheap (so there’s that cost), and while all the tea brands are careful to avoid any weight-loss claims, reading between the lines, it's clear that's the goal of more and more women sipping on these beverages. To kick things off, we called on Pandora Paloma, a food coach and founder of healthy events catering company Rooted London, who broke down the good (and the not-so-good) parts of each tea. Recommendations: There is a free eating plan on the website that you can download and carry out during the 14 days. How to use: The detox includes a 14-day supply of loose-leaf tea, and a seven-day supply of Bedtime cleanse tea bags (one for every other night). Pandora Paloma Says: “Senna has been known for centuries to promote a laxative effect and is an FDA-approved non-prescription laxative. The senna fruit is known to be gentler than the senna leaf, and long-term use of senna is actually not recommended. The American Herbal Products Association warns against long-term use of senna leaf; this is due to the many chemicals called sennosides, which can irritate the lining of the bowel, and it’s this that causes the laxative effect. What we don’t know here is how much senna is included in the tea—the recommended dosage is 17.2 milligrams daily for use with constipation. All of the other ingredients support the digestive system in some way. How to use: Drink the tea every morning, with or without breakfast. Pandora Paloma says: “This contains caffeine from the matcha and oolong, as well as green tea, which are all naturally caffeinated. Garcinia contains the chemical hydroxycitric acid (HCA). Developing research suggests that HCA might prevent fat storage, control appetite, and increase exercise endurance; however, whether these effects occur in humans is unclear. What we don't know is how much of garcinia is needed to have this effect—again it comes down to the exact amount in each tea bag and, thus, whether this really does have an effect on the body. “Stevia is an FDA-approved sweetener claiming to be a ‘natural’ alternative to sugar. It is, but very often companies add other ingredients that aren't so natural. A recent study from the Weizmann Institute of Science showed that artificial sweeteners could have a detrimental effect on our body, that includes an increased risk for obesity and diabetes. There’s currently not yet enough research to point to stevia’s health benefits or, in turn, the negative side effects. Recommendations: This tea duo comes with a Skinny&You; guide with a nutrition plan and fitness exercises. How to use: "We recommend to drink one cup of the Good Morning tea about 20 minutes before breakfast and one cup of the Good Night tea in the evening during your 14 or 28 days." Pandora Paloma says: “Vitamin C is a natural antioxidant found in good concentration in goji berries. One hundred grams of dried goji contains 48.4 milligrams of vitamin C, or 80% of your recommended daily allowance. Papaya has 60.9 milligrams of vitamin C per 100 grams. You catch my drift! This is caffeine-rich from the mate leaves and sencha green tea, plus nettle and ginger are lovely cleansing blends. Horsetail is used as a diuretic and widely used for fluid retention, which promotes me to think you may be losing weight, but how much of it is water? Good Night Tea: Rooibos, lemon balm leaves, peppermint leaves, green oat herb, hibiscus blossom, elderflower, lime blossom, yarrow, cornflower blossoms. A Valid Tool for Weight Loss? What’s clear from exploring these detox teas for weight loss and the brands that create them is that each encourages you to eat healthier and move more (no bad thing), which means you’re likely to see results anyway. In other words, you won't be able to mainline junk food, drink the tea and see results, that's never going to happen and even the tea brands themselves understand this, hence the encouragement for exercise and healthy eating. Also, as highlighted by Paloma above, some contain diuretic and laxative ingredients, so it’s likely any weight loss or de-bloating is caused by loss of water and most certainly not fat. Jennifer Beecroft, a registered Nutritional Therapist (bee-nutrition.co.uk), agrees, “All of the teas contain caffeine, a stimulant that temporarily increases metabolic processes and energy levels, as well as suppressing the appetite. Caffeine is also a diuretic and encourages the kidneys to excrete additional fluid. 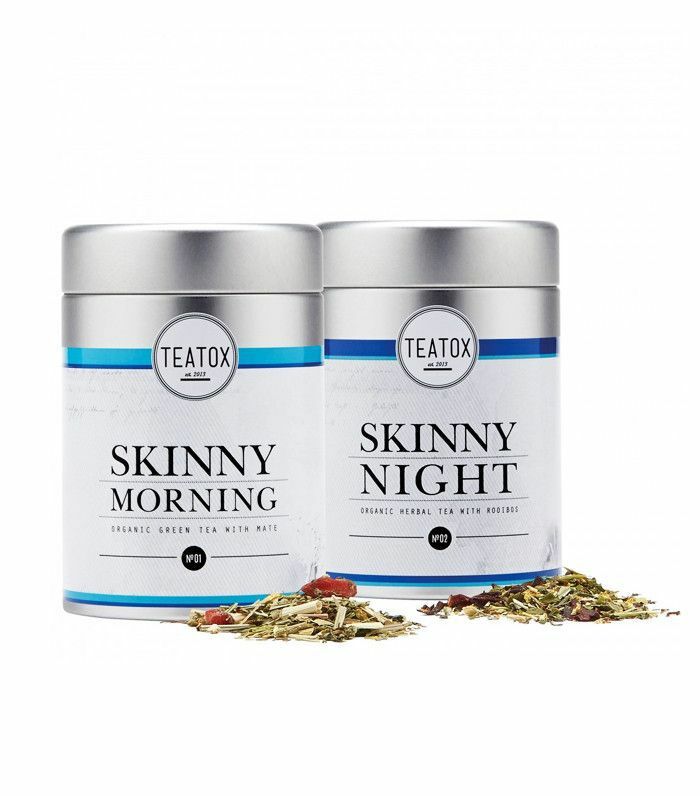 Bootea and Skinny Teatox contain dandelion and nettle leaves, which also have diuretic properties. Okay, so it’s not as exciting as the prospect of losing weight with a detox tea, but it will see you right in the long-term. Next up! See what happened when one Byrdie editor tried the Kardashian-approved FitTea.